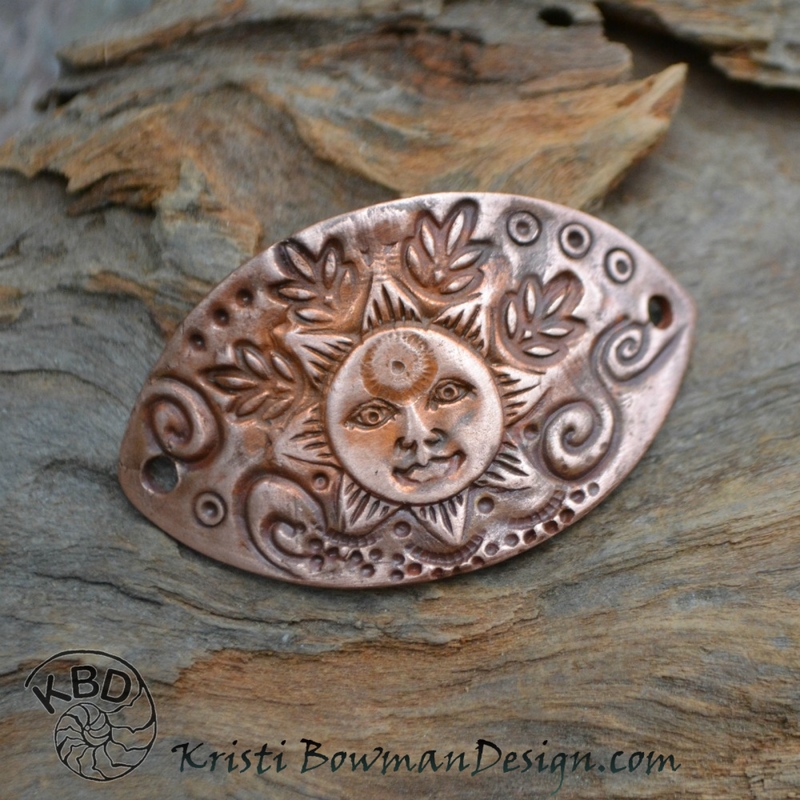 Green Man/Sun Collage Bracelet Bar #68, One of a Kind! They measure measures approximately 1.75" by 1" with a large jump ring hold on either end. Curved to fit the wrist. *Items are handmade, molded, shaped, carved and fired by me from beginning to end. *The patina process is very unpredictable Colors can vary widely with each piece. *I cannot guarantee what color you will receive. *Due to their handmade nature no 2 are exactly alike. *The pictures are representative of the pieces you receive are NOT the exact ones pictured. For more Copper Components please go to my Etsy Shop.